Well, we’re going to go a lot deeper than that to help you understand how machine learning is the key force shaping the world of artificial intelligence. Machine learning is mostly based on using lots and lots of training data and good algorithms. Though there’s a lot of excitement in technology circles about sophisticated algorithms, particularly deep learning, it must be understood that most applications of machine learning are a result of good data. Machine learning could exist without good algorithms, but it can’t exist without good data. This is a major fact for everyone involved in the artificial intelligence industry. The path to the future is paved on the foundation of good data more than anything else. That’s why you’d observe that the most remarkable examples of artificial intelligence are in industries where data scientists have access to massive data. “Garbage in, garbage out” — this is the rule of thumb in software development, as old as the idea of software itself. It applies particularly well to machine learning, and it’s very important that developers and data scientists understand it. This is a key limitation of machine learning. It can only identify patterns that exist in the training data, and that’s the sole basis for its learning. If a machine learning model generates good results based on its training data, expect it to generate results of a similar quality in a production environment. However, that’s only when the production data follows the same distribution as that of the training data. Skews between training and production data are guaranteed to result in the errant behavior of your model. This is why continual improvement is a key to successful machine learning. The best models performing consistently in real life scenarios are the ones that are being constantly reviewed and improved. That’s the guiding light for anybody looking to be successful in the artificial intelligence industry. Having lots of data means that it becomes possible to extract reliable patterns from it. This, in turn, means that you can train a model reliably. Also, with lots of patterns, you can experiment with different models, each with a different set of parameters. When you don’t have a lot of data, you run the risk that a model with too many parameters will overfit to the training data. The result — the model will not be able to generalize beyond the training data. This ties closely to what we’re observing in the artificial intelligence space. Most failure cases can be explained by the same fallacy. That’s why you’ll observe that in industries where the use of machine learning is nascent, the use cases are very tight in scope. The golden rule — when data is not in abundance, rein in your models to very specific use cases. “Smart machines” is a futuristic idea centered on the concept of using machine learning algorithms and programs in machines so that they are able to solve problems and alter their behavior without any requirement of human intervention. Smart speakers, autonomous vehicles, unmanned aerial vehicles, context-aware devices — all these and more are primitive smart machines. Machine learning is at the forefront of all the innovation and research being carried out in this space. Since this is essentially what futuristic AI means for most people, it’s clear how machine learning is the perfect vehicle for anybody who wants to be at the pinnacle of the industry in the years to come. Examples of machine learning in action are all around us. E-commerce websites use it to recommend suitable products to users, Gmail uses it to fight spam, music streaming and entertainment apps use it to show good content to people, Facebook uses it for photo tagging, and Google uses it to rank web pages for search keywords. This is in utter contrast to the black box that AI has been for quite some time now. 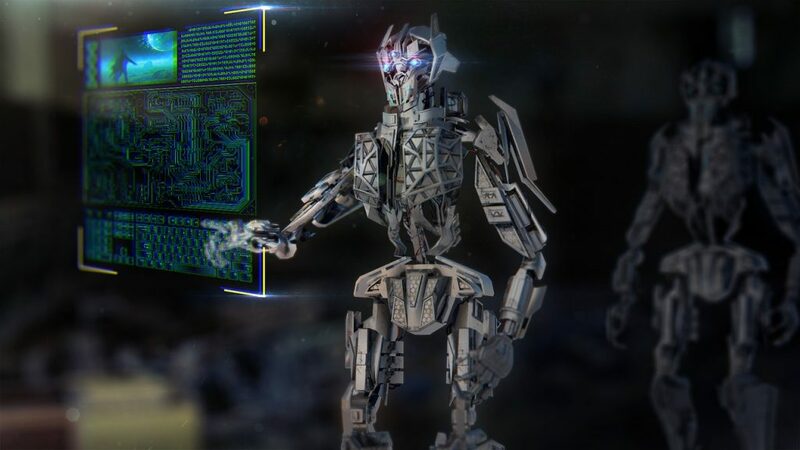 The lack of understanding and the ambiguity associated with the term are responsible for the doomsday predictions that people have been making about AI, which is not good for the industry. Machine learning has brought a sense of calm and helped people understand how the technology can add value to human lives, instead of creating existential risks. Web 1.0 was the era of the Internet as a repository of information. Then came Web 2.0, where the Internet became social. Next up, Web 3.0 will be the era of the semantic web. The core idea here is that machines will be able to understand complex human queries and solve them quickly and credibly. This can be achieved when information is semantically structured in a manner that makes it easy for machines to process the info. Machine learning is as close as we have come to be able to create code that can learn on its own, much like humans do. Machine learning is touching everyone’s lives daily, without us really realizing it. The nature of work that humans need to do to sustain themselves is changing, as programs and machines become intelligent enough to do it all. Machine learning is changing the present and shaping the future for the better.